From a diminutive rowboat on a pond to a grand luxury liner by moonlight, these 23 illustrations portray an appealing variety of nautical scenes. 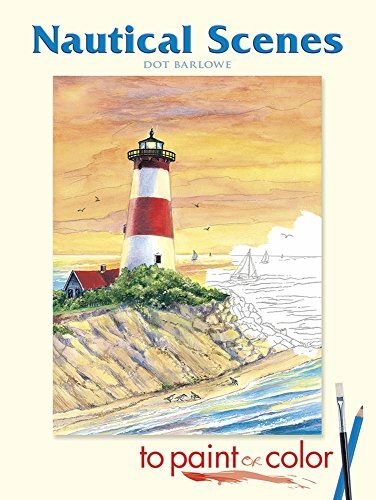 Realistic drawings depict a deserted beach, fishermen at work, a tranquil alpine lake, a sailboat regatta, and other evocative images. Each page is perforated and printed in light gray lines that virtually disappear when painted or colored, resulting in a professional-looking finished product.